The airport had been shut down. No one was allowed in. Police pointed us along cordoned off walkways, away from Arrivals, away from where my mum would be waiting. We were displaced ants, stumbling confused inside a massive, empty anthill. D-man was here with me, his first trip to Europe. What a welcome. We queued as per usual for passport control and customs. People muttered. No one knew what was really going on. No one would tell us. Something about an abandoned car? A car bomb, maybe? Dusk was falling. Like a scene from a post-apocalyptic film we dragged suitcases up the centre of a road sided by concrete towards silent flashes of blue and the next set of instructions. Neon yellow policemen jackets stood out against the low light greys, orders barking out of big guy mouths. ‘Going saaarf, get in that line. Norf, ova there’. Arms flailed. I didn’t know how I’d find her, but I did, holding a place in a queue of people trying to push on board a snaking bus. And finally, after nearly two years, I got my mama cuddle. 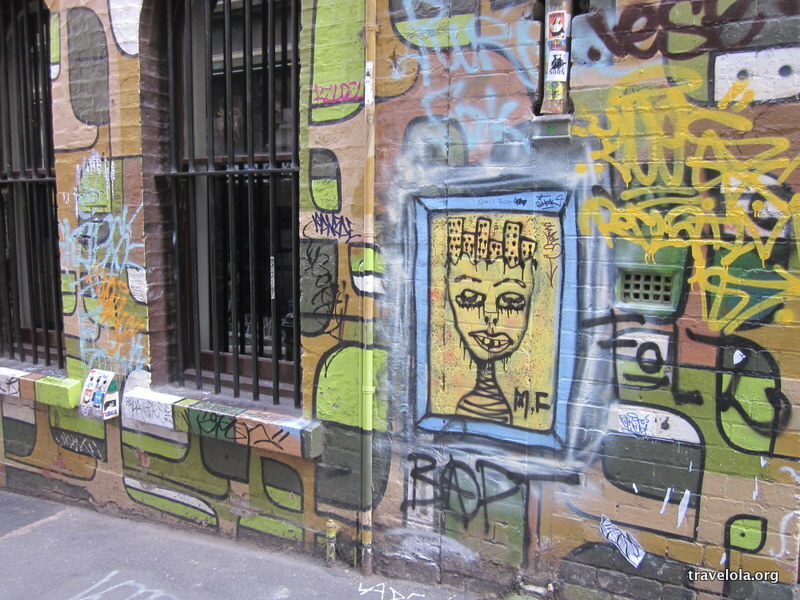 I first became aware of street art tours when a fellow blogger posted photos of a trip that they’d been on in Buenos Aires. 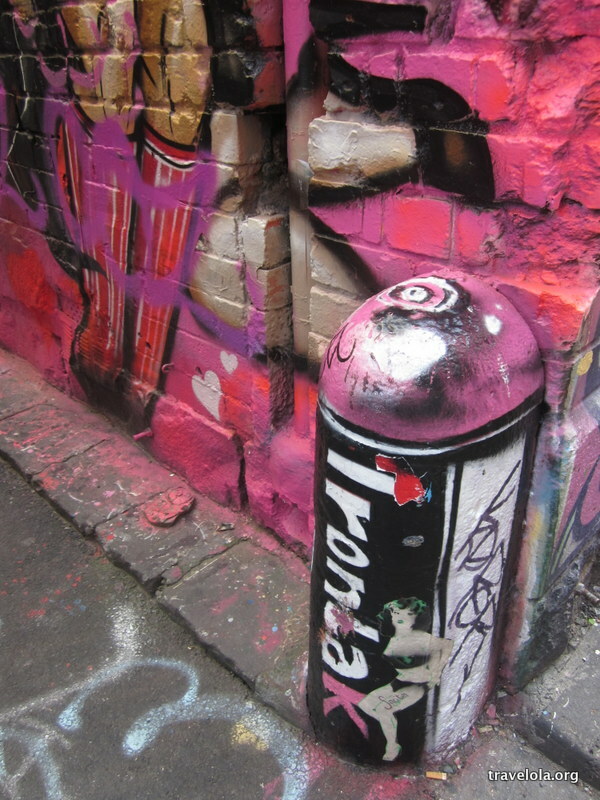 Street art seems to be growing in popularity and gaining acceptance; it’s been associated with enhancing community cohesion and giving disenchanted youths an outlet to express their frustrations. Of course there’s far more to it all, but I’m not the one to talk about this sub-culture. What do I know? I just like looking at some of the stuff. Little more. 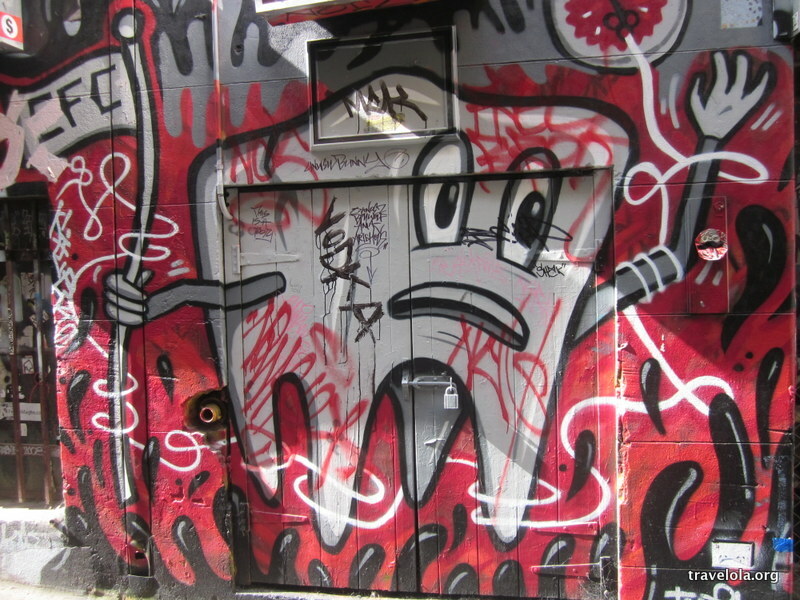 With the rise of street art acceptance, street art tours were always an inevitable progression, and they’re too gaining in popularity. Go to London, San Franscisco, Bangkok or Melbourne and you can find a tour that promises to give you a taste of the latest contemporary art trend. 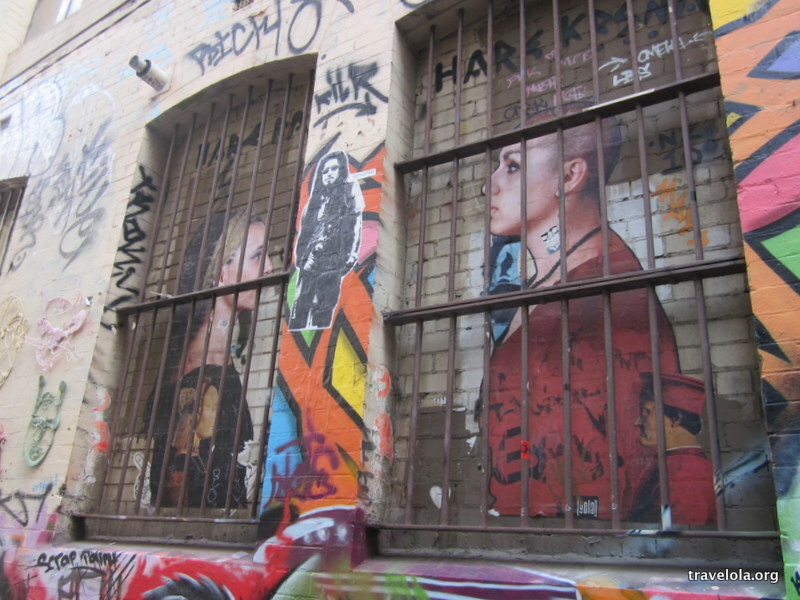 Whilst I have some questions about how such an underground scene sits within a commercial and mainstream context, I do lean towards street art over concept art, and so, following a tip off from a local, I skipped the tour and just went to the art direct. 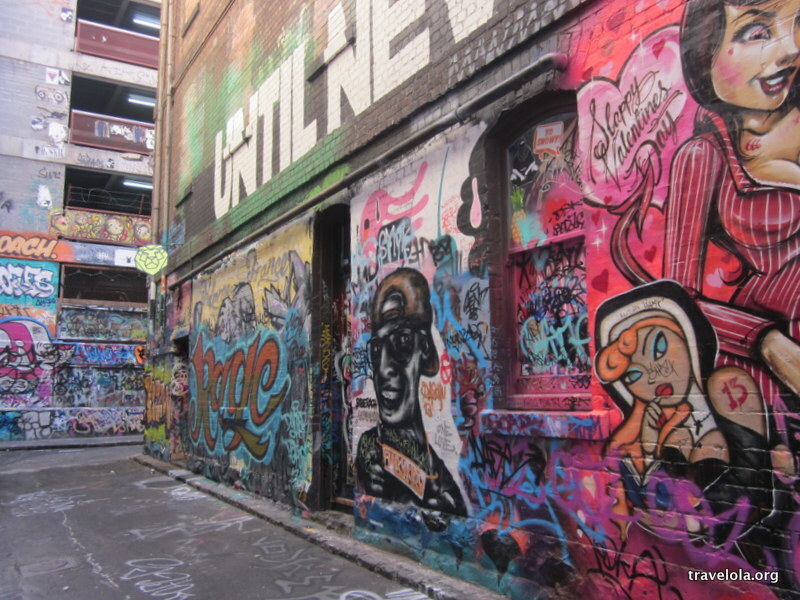 This is easy enough for anyone to do as Melbourne’s laneways are infamous and printed up guides tell you exactly where to go. You’d struggle NOT to see any street art. But there is a good chance that without a guide you might miss the really good stuff, just like I probably did. 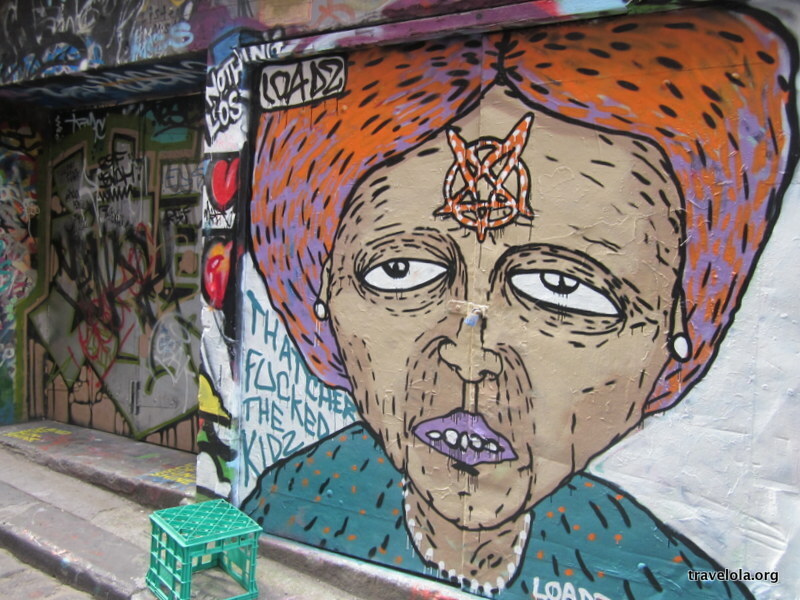 I’m also pretty sure, though, that there are walls of undiscovered street art away from the tourist eye, and like with any industry, what the mainstream get access to is hardly representative of the overall scene. For now, this was all I was getting. 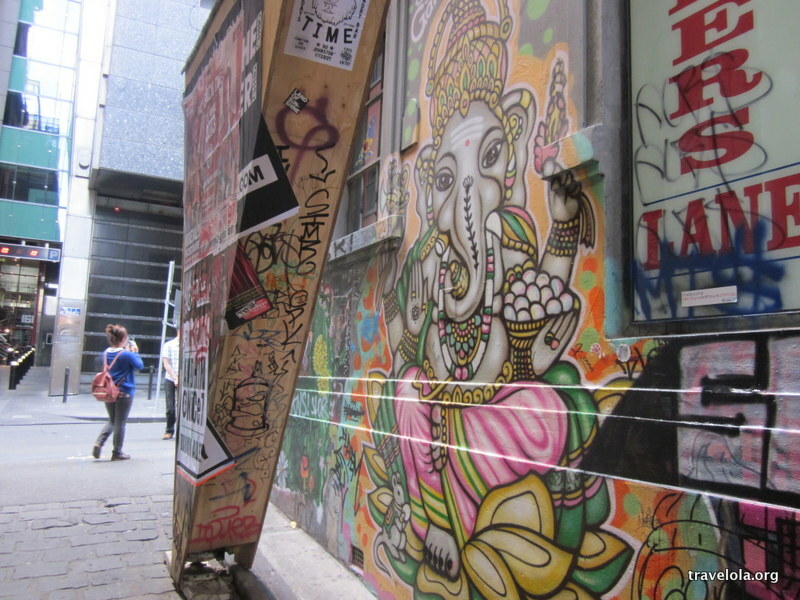 Do you reckon they’d let me buy the Ganesh spray job from Hosier Lane (see top pic)? Would anyone really notice if I bought those bricks, say for $1000,000? I’m just going to hunt down a Monopoly set. I nearly applied for a job in St Kilda, back at the end of 2011. It was a job that would have merged my experience in media, education and writing, but the timing wasn’t right. I’d only just taken voluntary redundancy from my teaching job in the UK and set off on some South American and Oceanic adventuring, and so I deleted the job from my saved list and pushed that idea (and St Kilda, whatever and wherever St Kilda was) into a later space. And now, a year and half later, I find myself sitting in a fairly plush hotel room overlooking Albert Park in Melbourne, just around the corner from St Kilda. I have paper and pens, a fridge full of overpriced drinks, thousand threader sheets on the bed, fresh towels to wrap myself up in, and a bathroom full of pampering potential. But as much as I could sink into this room of contained comfort, my travel devil won’t let me. Go see stuff! Go do things! I’m here with D-man who is speaking at an international conference, so the days are mine to do as I please, an opportunity for some solo travel snippets. But the nights, they are for sharing. D-man, having lived for a time in Melbourne, knows where to take me, and we stride through Albert Park in a dizzy state of handholding and holidaying, down Fitzroy Street and to the top part of St Kilda. And I’m a little underwhelmed. I mean, it’s okay, nice enough, but just a nice enough street in a any city precinct. We walk around the beachside, Luna Park with its gaping clown mouth glowing out in the dimming light. A man walks towards us, an awkward mess of long, straggly greying hair and missing teeth. I look at D-man, avoiding eye contact with the other. ‘How long you been married?’ he shouts after us. ‘16 years’ humours D-man. ‘You should see how she looks at you’, adds the stranger, and I’m amused at the reading of my eye contact avoidance. I’m also surprised at my discomfort, at my taking on of cautionary tales, and how I tonight seek reassurance from D-man. Where is my head at? Acland Street Precinct is a whole lot more buzzy with lights and people and places to eat. We duck off to find Lentils As Anything and I’m back in my comfort zone surrounded by leaflets advertising meditation and yoga classes. I flick through a collection of creativity from a local writing group, and D-man and I chat life and eat wholesome food. And I realise over the next few days of wandering in and out and around St Kilda that, despite some uppity potential that I’d been warned had started to tar the soul of place, it is still a place with some heart, creative intention and choice. Sure, I can eat at the expensive Italian or I can get a cheaper pizza from the neon-signed takeaway next door. I can posh shop it or just look for deals and the low-key options. It doesn’t have to be excessive. And there is still a creative spirit, from what I can see. If I had applied for that job back in 2011 and been selected for what would have undoubtedly been a competitive position (St Kilda, I can see, is totally up there in terms of city living desirable), it would have been no bad thing. I could still have lived modestly, gone for morning runs in the park and beach strolls at sunset. I could even have paid off a good chunk of my annual rent by sub-leasing a room during the Grand Prix every March. Shoulda, woulda, coulda. So often the case. And really, I’m pretty okay with just visiting. Because despite a glitzy facelift of the esplanade area, Cairns hasn’t risen to big city status and gone down the ‘we’re-so-good-we’ll-rip-you-off’ route. At least from what I could tell. Cairns doesn’t seem to be an overly exciting place, with it’s a grid system of functionality, trimmed and watered grasses and all the anticipated visuals of palm city tropics. Before you shoot me for such a low impact first impression report, know that I’m not a city fan. It takes me to know a city to love a city. More on that later. But Cairns, well, on first impressions it seemed pleasant. Surprisingly so. All I really knew of Cairns – previous to this short exposure – was that it happens to be where many people set off on Great Barrier Reef adventures. L-man, D-man and me were on a different kind of adventure, a road trip drive-by exploration that had already seen us cover some 2,000km from Ballina in New South Wales. Our destination was the Eclipse 2012 festival, a few hours inland from Cairns, our food was cheap camping cook-ups and our accommodation a couple of mismatched tents. 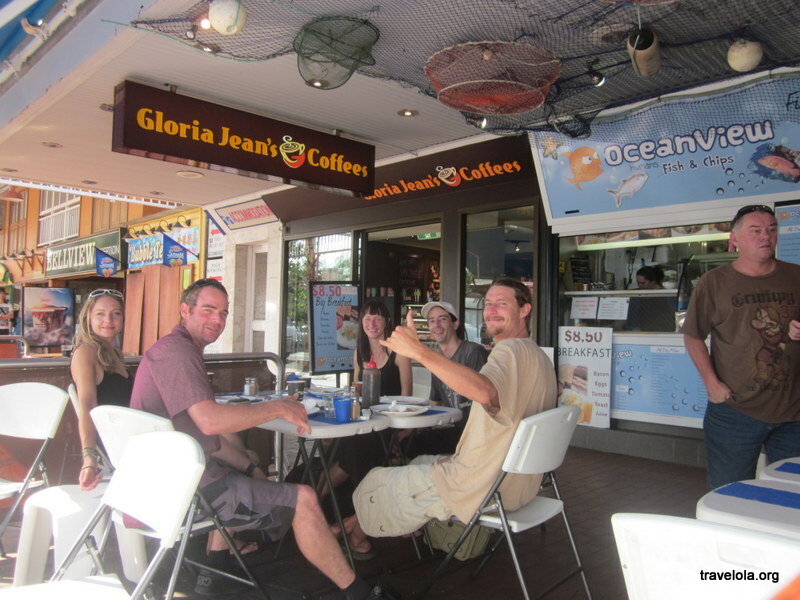 But on our first night in Cairns we called a friend and crashed his family holiday. So strong was the call of a shower and a social. ‘If we get caught’, he said as we skulked down the side of the holiday apartment building, ‘you guys are gonna have to pay up’. The next morning we breakfasted with two other stowaways at a hole in the wall offering $8.50 big breakfasts before wandering around the free public pool on the ocean’s edge. Ah, the irony. All that salty water so close, a forbidden territory of jellyfish deadliness, and you have to make do with a man-made structure and a dose of chlorine. But at least there is a man-made structure, I guess. 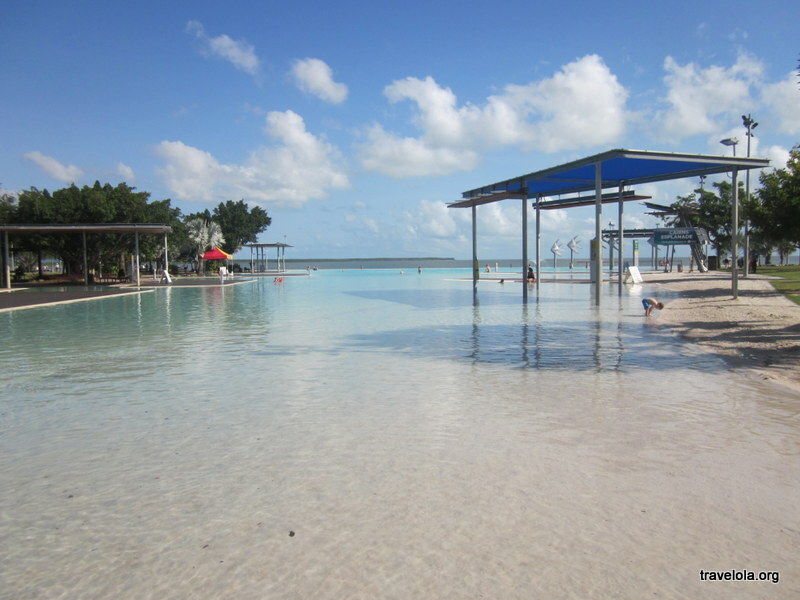 The heat of the day was rising and even a paddle in the shallows of the pool brought some cool-down comfort. Before leaving the pool area I noticed a sign and I realised that if I didn’t dislike organised aerobics quite so much, Cairns would be a great place to live. 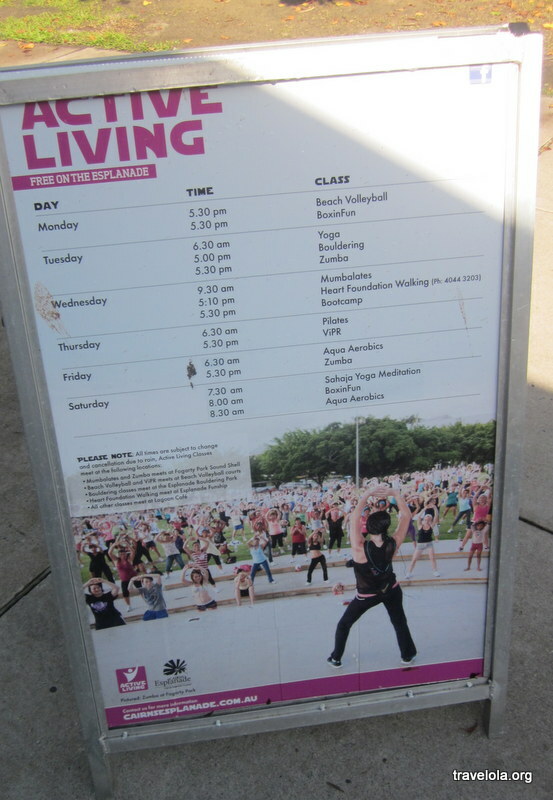 Here in the park, every day, were free fitness sessions. No ‘I’m too poor’ excuses for anyone. Aussies and their mission to stay on top of health and fitness, bold and in full colour. Gotta love it. Or at least appreciate the intention. What’s your punishment? What’s your happiness? So what were the tricks to keeping Cairns cheap? Dishonesty in terms of accommodation, grease in terms of nutrition, killer chemical in terms of health and fitness and keeping cool. 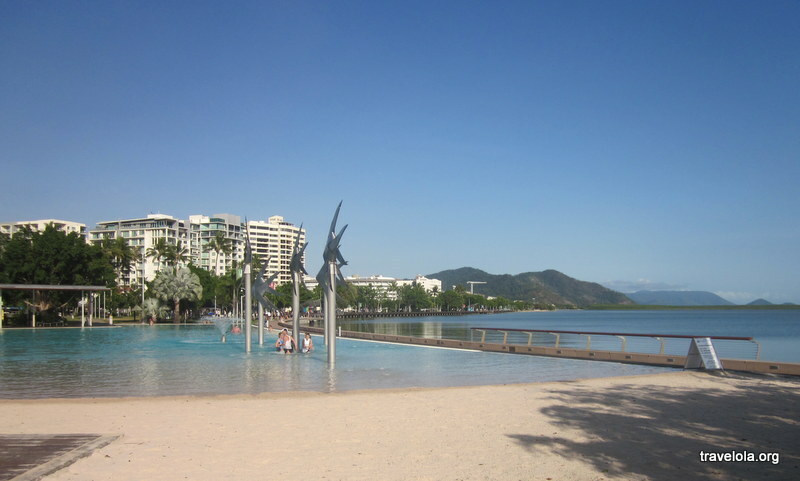 More realistically, though, we barely spent any time in Cairns – half a day – so of course it was easy to keep it cheap in this compact city centre. Why this blog post focused on budget, who knows? The main thing I realised is that I like Cairns enough to go back, maybe to spend some time exploring it’s surface normality a little deeper (whilst not doing zumba classes). It was that kind of place, and it surprised me. On my first day in Santa Cruz I met an American traveller who had lost his friend in the city the previous night. Halfway through an evening of drink and drugs in some third ring Santa Cruz bars – an area where tourists are advised not to venture – both guys were arrested for not carrying identification. They were thrown into a city jail along with a load of other tourists. 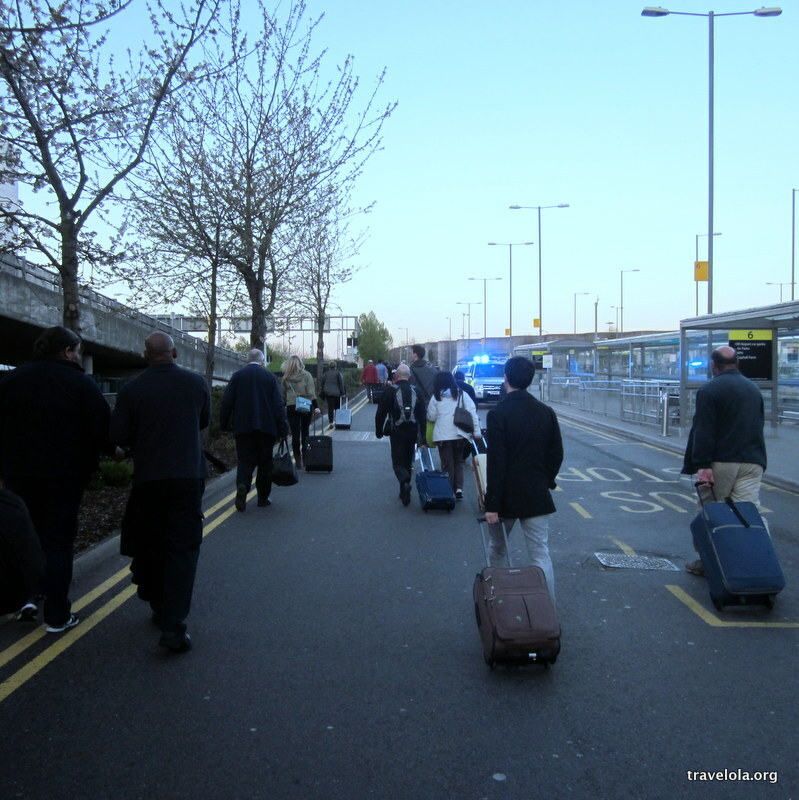 Following pay offs and promises to return with passports the following day, both boys were released. The partying continued. And then somewhere, somehow, Marc lost his friend to a girl, or to hedonism, or to who knows what. 5:00pm the following day and Marc was worried. His friend hadn’t made a reappearance. If a girl had been involved, motel kicking out times had long passed. Marc started to imagine the worst. Was he back in jail? In hospital? In a gutter? It wasn’t like his friend to be so late, so inconsiderate. I never found out what happened, how this resolved. It unsettled me a little, but it wasn’t unusual. Most people showed up eventually with a good story. But it made think: did I really want to stay in a city like this? Santa Cruz, many told me, is a fun place to party and spend a few days but beyond that doesn’t offer a huge amount to a backpacking crowd. 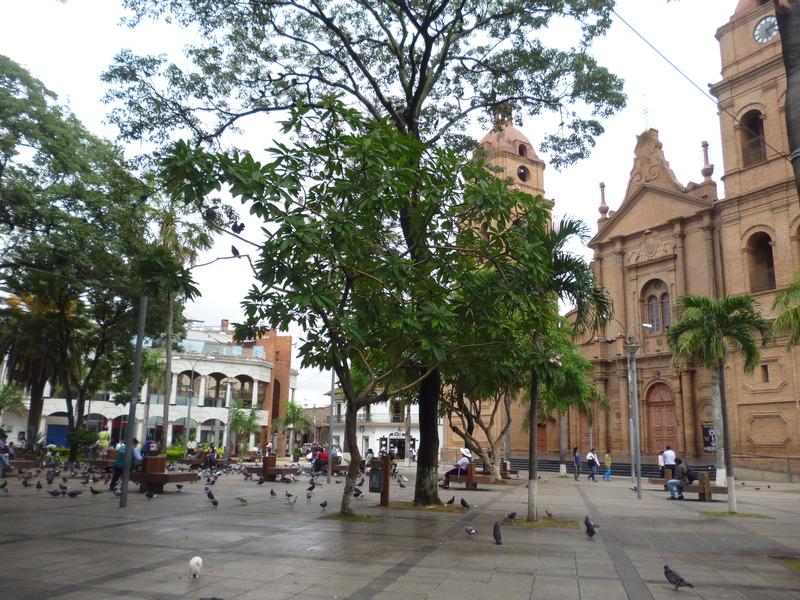 I only spent three days in Santa Cruz and as far as my limited exploring revealed, it is just another South American city with yet another lovely plaza and cathedral. However, as my taxi driver warned me, despite a warm climate and a modern, Brazilian influence, it also has its dangerous side. Call me boring, but I’m a bit over dangerous cities. I’m not really a city girl, in all honesty. And maybe because I was also seriously under the weather and on a good dose of antibiotics, I wasn’t really feeling the place. I needed country air. I craved a welcoming, safe environment. 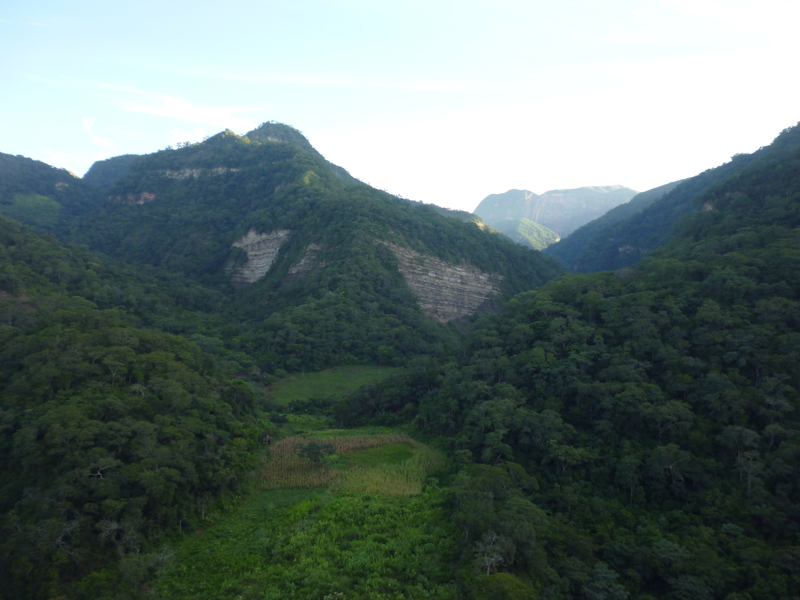 So I squished into a taxi with four Israeli backpackers and wound my way down from Santa Cruz through a mountainous landscape towards the fresh air of Samaipata. But first, a stop-off at what sounded like a hippy idyll in Bermejo: an organic farmstead that embraced music and creative arts and was working towards self-sufficiency. Surely this would be the ideal place to recuperate and re-energise?